Think about the brands that make a difference in your everyday life. The ones that make your life easier, better. Offering you exactly what you need, at the exact moment that you need it. These brands have the power to influence your decisions, inspiring you day by day. These are the companies that Prophet calls “relentlessly relevant”. In this article we give an overview about U.S. market, with the purpose to find some relevant aspects that can help marketers understand what people value the most. This perspective gives brands a different approach in order to unlock growth. The Brand Relevance Index was launched four years ago and is performed country by country, with the aim to distinguish the differences that exist within people and markets from various part of the world. The crucial point of this ranking is that it is made by surveying more than 40.000 people to list hundreds of brands on many aspects and attributes. According to Scott Davis, “customers are the real only experts” and the choice to start from their perspective to investigate the brand relevance is determinant. The inclination to continuously reinventing themselves, finding new and creative ways to anticipate unexpressed needs and desires. The results are mostly congruent to the expectations: tech giants are still dominating the top of the list and, besides few big movers and some surprising entrances, the most famous brands are meeting the expectations. While a third of the top 21 brands is owned by three companies - Google, Disney, and Sony - none of them stands in the top 5. Instead, Apple is still the most relevant brand, for the fourth year in a row, while KitchenAid and Nike moved into the top 10, replacing Disney and Pixar. 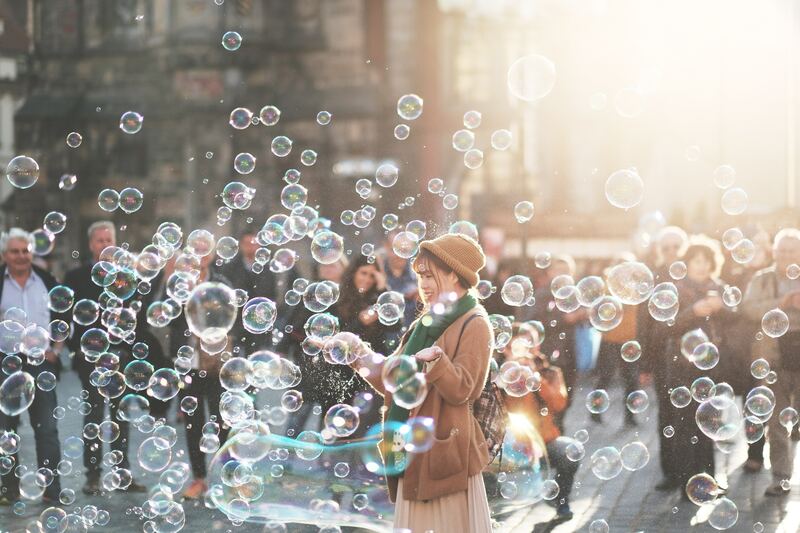 Prophet presents four key findings, common to all top brands: all the companies on the top of the list are constantly reinventing themselves, in order to build a specific, strong community around them. Furthermore, they still are focused on customers and their needs and desires, while trying to inspire them and chasing a higher purpose. Tech giants are on the top of the list: 8 of the top 10 are inherently digital and experiential, most born in the last 20 years. How can traditional, brick and mortar companies keep up with the wave of newcomers? Looking at KitchenAid, a company started in 1919 that has just moved into the top ten, it shows the way to winning customers’ mind and heart: reinventing and renewing is the key to stick out of the ordinary and to emerge from the obsolescence. Top brands have the commitment to stand ahead customers’ needs and to surprise them, continually reshaping experiences and expectations, in order to offer ever-greater involvement.It’s not just a prerogative of the newcomers. Older brands, such as Dyson, Chevrolet or Ford, have recently broken into the top 50, confirming that there still is a room for historical brands, if they can keep the pace, transforming themselves while remaining true to their roots and consistent with the brand heritage. Furthermore, the youngest customer base has a preference for these companies too. While these customers have always been known for being social media obsessed, this stereotype is no longer true - it has never been, probably. In fact, besides all the posting, tweeting and snapping, social media brands aren’t the most relevant to their lives. On the top of their list there is Netflix, confirmed as the best entertaining media. Due to its ability to offer suggestions tailored to individual preferences, and to increase the content base with new, peculiar projects, it keeps reaching the highest “make me happy” score. Definitely one of the best recently born brands. It’s evident that among millennials, all the social media platforms are losing ground; especially Facebook, the biggest mover of the year (-102 positions). However, this drop is seen in every age and gender demographic as well, confirming that this decline is not ascribed to the youngest base. The decreased usage of Facebook is imputable to the lack of trust and interest. The “fake news” attribution, and the numerous big data breaches have brought down the brand reputation, making people doubt about its value. Partly, this drop may represent a natural shifting to other parts of the social ecosystem, as people are always looking for the best place to express themselves. Instagram is still running the photo-framed social interactions, WhatsApp is the most used messaging system, and YouTube is the natural place for video sharing. Nevertheless, all these social media platforms don’t seem to be considered as “relevant” to people: no one of them is ranking on the top 50, except for Pinterest. Among social media, only Pinterest is winning customers attention, ranking third in the overall list, and first among “makes me feel inspired”. Delivering great experiences and promoting relevant ideas, is one of the most important aspects of relevance, that results in the opportunity for brands to create a deeper connection with their customers. People want brands to express a unique model of thought, that is consistent with the brand image, and which customers can relate to or get inspiration from. Likewise, Android is perceived as “The People’s Platform”, making its openness and ease to use a major of the brand characteristics. Its usage is worldwide - actually 86% of mobile devices - and people have the perception that it is accessible and futuristic, and gives them the power to contribute to its development. Both these aspects - letting people get inspiration from each other and from the brand, along with showing a purpose to chase - result in the opportunity to build a strong community that shares a common view and meets common values. The few takeaways presented in this article are just a small part of the relevant aspects that can be observed looking at the report by Prophet. The starting point to study the relationship between brands and customers, that it is the most important element when shaping brand personality in order to become relevant, meaningful and essential to customers’ lives. 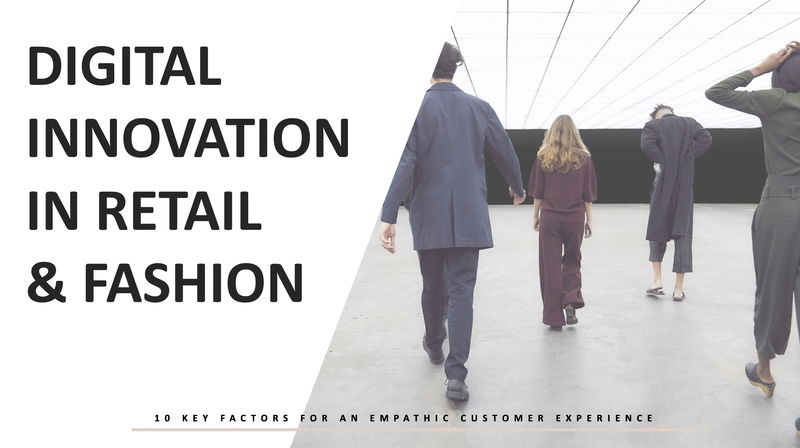 Download our brand new report, Digital Innovation in Retail & Fashion, and discover why you must know and understand your customers before even thinking about selling, and how you can use personalization to deliver relevant experiences that drive loyalty and increase value. 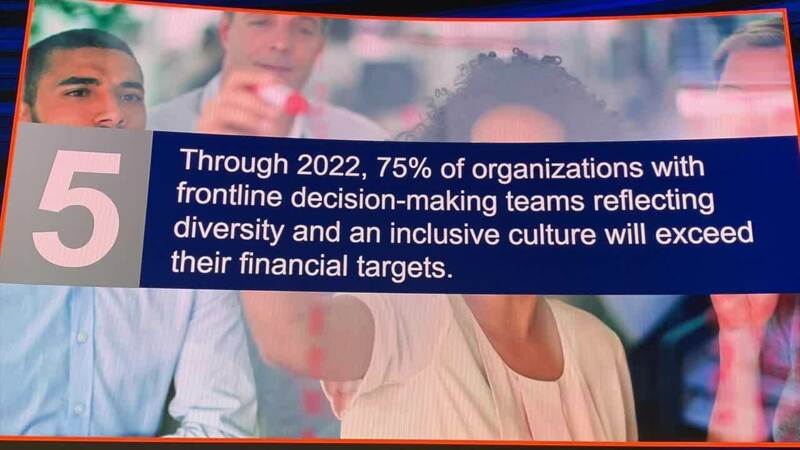 Gartner has just released its insight for the ten key trends you can’t afford to ignore in the next year. These Gartner Top 10 Strategic Technology trends are expected to impact and transform industries through 2023. The core concepts presented are all about shift and change and disruption, as technology is becoming an inextricable part of our world. then mesh, as the importance of ecosystems. In 2019 we will look at these three things coming together in an increasingly integrated fashion. Whether it’s cars, robots or agriculture, autonomous things use AI to perform tasks traditionally done by humans. By 2021 10% of new vehicles will have autonomous driving capabilities. Developers will embed AI into applications and use AI to create AI-powered tools for the development process. A digital twin is a digital representation that mirrors a real-life object, process, or system. 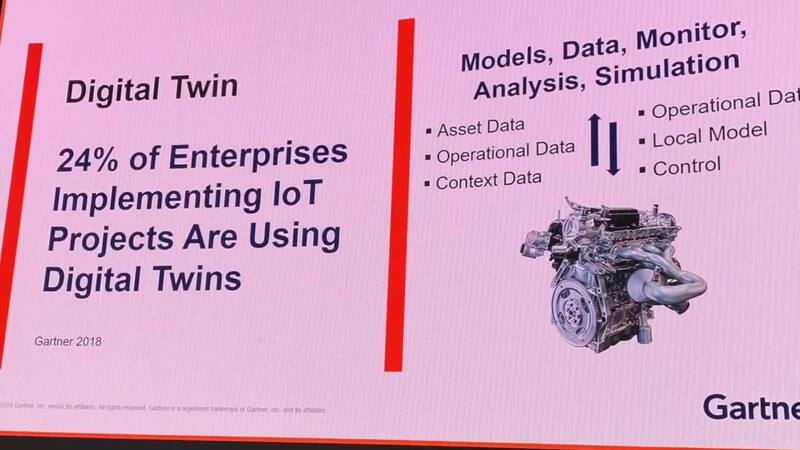 The focus today is on digital twins in the IoT, which can improve enterprise decision making by providing information on maintenance and reliability, Expect this to grow in 2019. Conversational platforms, which change how users interact with the world, and technologies such as augmented reality (AR), mixed reality (MR) and virtual reality (VR), which change how users perceive the world, will lead to new immersive experiences. The blockchain is a type of distributed ledger, an expanding chronologically ordered list of signed, permanent transactional records shared by all participants in a network. Expect blockchain to take off in many industries in 2019. Connected to the digital twins concept, a smart space is a physical or digital environment in which humans and technology-enabled systems interact forming an open, connected, coordinated and intelligent ecosystem. Still not ready for prime time, quantum computing will evolve, as an exponentially scalable and highly parallel computing model. The future is filled with disruption. But pending disruptions are taking on new forms. 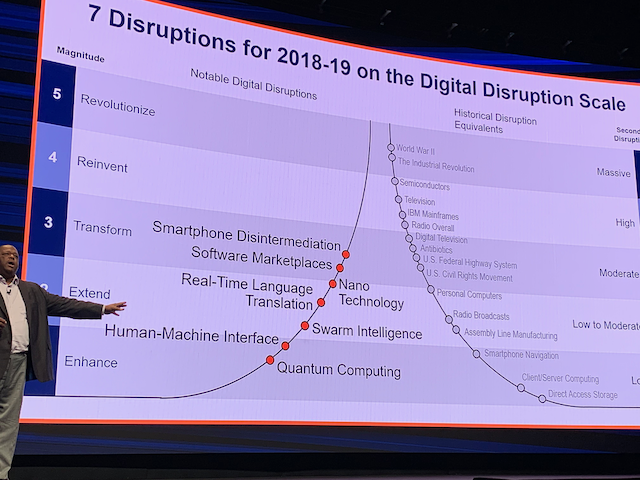 This is the tipping point for Gartner's keynote about top strategic predictions for 2019 and beyond, live from Barcelona. In essence, here is a selection for you of the most relevant insights from Gartner Symposium/ITxpo. AI evolves into augmented intelligence and is affecting human lives as the presence of technical skills is slowly increasing within organizations. People-oriented cultures resist the dehumanization of the individual, and as a result, culture and privacy become more and more connected. Processes become products, and markets consolidate as customers continue to adopt new technologies. As a result, all organizations have explore AI steadily, and both develop and supplement AI skills with AI automation technologies provided by expert vendors in the different fields (i.e. digital customer experience. Acting more and more with a systemic vision, organization have to learn how to introduce products based on internal processes and data by leveraging the cloud and ecosystems of digital giants. What will the future bring for leading brands in the retail and fashion industry? With the rise of e-commerce giants like Amazon, Alibaba, and eBay, the retail scenario is rebuilt on a digital foundation, where competition is played on the ability to meet an entirely new set of behaviors, expectations, and priorities of today's shoppers. On-demand services and instant gratification available at any time are giving customers an ever greater control over their purchase journey and increasing their power towards brands. Speed, ease, contextual and individual relevance have passed within a few years from being valuable nice-to-have to essential must-have. However, few are really trying to bridge the gap between insight and action, and it's the case of leading companies that are using technology to innovate their customer experience with a human-centric approach, changing how they interact and engage with today's customers. Timberland launched a context-aware email marketing campaign, shaping ads for different weatherproof products to match each user's position and weather conditions in real-time. Since at least 2013, Amazon takes notice of our shopping behavior and tailors recommendations for every one of us. And as we continue browsing, the fitting personalization goes on. Even customer support has become much smarter. On companies' websites and e-commerce, chatbots and virtual assistants use natural language processing to help customers effortlessly navigate questions, FAQs or troubleshooting. 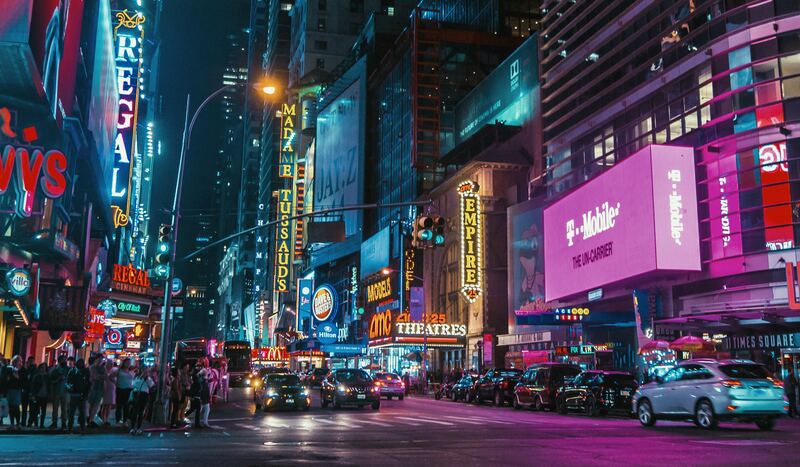 In the offline world, we see stores and shop windows coming to life with digital signage interactive systems and 3D contents on augmented and virtual reality. And even behind the scenes, store analytics is becoming a common practice that will soon have nothing on online analytics, helping retailers to better understand shoppers behavior and measure the impact of different areas in the store environment. It is easy to see how all these applications have one thing in common: AI. Artificial intelligence is disrupting the retail industry as it enables marketers to automate and bring on a large scale something that until a few years ago required effortful small-scale processes. That is tailor-made experiences, custom-designed for each individual. But there is still something wrong with AI today. A missing piece to move from the now outdated customer-centric approach to a people-centric path, more consistent with the evolving needs and wants of today's shoppers. It is predicted to be the future of AI, that will progressively bridge the gap between the offline and the online world. That missing piece is empathy. We have identified 10 key factors for an empathic customer experience. You can find them in the "Digital Innovation in Retail & Fashion" report, now free to download. Growing a happy customer base is the key to success, we all know it. 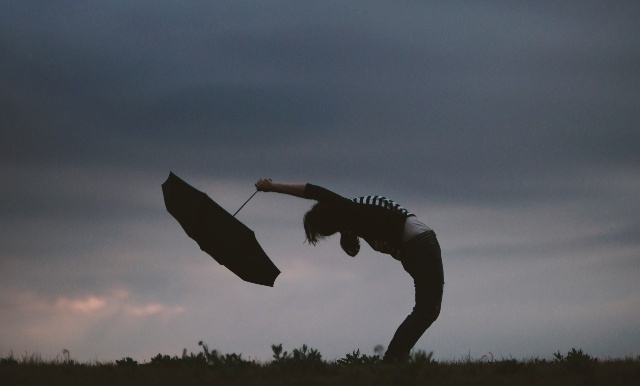 We usually look at the bright side - how Brands could and should deliver the best possible experience. This time we want to focus on the dark side of the DCX. In a nutshell, are you willing to delight your customers with amazing experiences? Do you work constantly to improve your strategy? If the answer is Yes, do not read this post. Or maybe you should. Warning: this is a (not so much) ironical post. When creating a business strategy, most companies do not consider the importance of a well-rounded customer journey. They simply look at the tip of the iceberg - made of standard recommendations - not considering the uncovered area, that refers to valuables experiences. In love, the winner is the one who flees. The same way, you could be tempted to run away from your customer’s attention, hiding and making yourself hard to find. What better way to start a relationship than to be desired, right? If you want to deliver a horrible customer experience, the tipping point is to make your customers feel upset. Forcing them to struggle, testing their will to find information about you or your products. The result? They will soon turn to your competitors. The best view comes after the hardest climb, right? No. Not when talking about the customers and their experience. It’s essential to make sure that people can easily find what they are looking for, whether it is the localization of your store, the price of your product or the contacts of support. Today’s people are always on the move and connected. They don’t want to waste time and request immediate answers to their questions. 75% of online customers expect help within 5 minutes. If you’re not there, you’re anywhere. Digital and mobile technologies got them used to the easiest, fastest and the more natural way to do things; they expect your brand to do the same. In this scenario, the worst thing that you can do is to believe that you don’t need to oversee as many touchpoints of the customer journey as you can, online and offline. Do you want to be bad at DCX? Hide where none can find you! Sometimes, even when you’ve been working so hard to make them run away, customers still have the guts to believe in you and your product. They want to connect with your brand at all costs. How can you escape from this heavy task? Easy: show no understanding at all of the channels. In this era of constant data flow coming through all sorts of touchpoints, so many companies get lost in the stream, stuck with no idea of who their customers really are and where they are. All the information in this world is useless if you don’t know what to do with it. Just think about social media, the perfect place to build useless strategies, waste your budget and not reach your audience anyway. One of the first things they teach you in a marketing course is that no brand/product is similar to another in terms of target audiences and channels. Do you want to be irrelevant? Throw your messages and contents to a random audience using randomly chosen channels. Otherwise, find the perfect platform to interact with the right audience: think about your buyer personas and look for the right place to find them. Most customers use multiple channels to complete a purchase; improving your omnichannel presence is a must if you want to maximize the opportunities to interact with prospective customers. The goal of a multi-channel strategy is to give your potential customers the chance to choose where and when to talk to you and buy your product. Not only the presence on social media is important to build a good community; it is necessary to find the right way to interact with your customers, using all the channels they are connected to. And before you say, no, posting and tweeting are not enough to make your presence relevant. Delivering meaningful experiences means having a cohesive message across a number of channels, and a continuous evolution as the data about your customers’ behaviors and needs increase. You need to keep moving fast to be one step forward your competitors. After everything you have done to make them run away from you, if they are brave enough to buy your product, you can always change their mind with terrible customer service. Treat them like a number, not the most valuable asset of your company. That is the ultimate recipe for disastrous customer experience. Keep in mind that the customer journey doesn’t end when a lead converts into a customer. It just starts there. People will judge you for your ability to offer good and timely support to their requests, whether they need advice or fixes. People consider bad service experiences like waiting too long on the phone, being rebounded from office to office, having to explain the same issue to multiple service agents, or having to mail back a product ordered online. When your customers feel they are being ignored or underestimated, they will share their experiences with the community. You know what that means? Bad reviews. If you do not accept your customer’s feedback, remove them, or reply with rough words is the worst thing you can do to improve your brand reputation. You might get an enormous number of mentions through social media, even launching a trending topic, but it doesn’t mean it’s going to be good for you. “Any press is good press” doesn’t work for marketing in the digital era. People want brands to take their responsibilities, to act wisely and kindly. They want you to break the rules only when it’s for a worthy cause, not to get attention. Invest in your reputation with a long-lasting relationship, or you’ll end up as a shooting star. A very well known example of bad brand reputation is Comcast, that provides one of the worst customer service all around, with customers usually complaining about the difficulty in reaching live support and, last but not least, for the hidden fees and extra-payments. Charging an extra fee to surprise customers is the ultimate step for the worst customer experience people have ever seen. There is nothing more irritating and disappointing than being charged an extra fee, unexplained and unexpected. Customers want to be sure that all the information, prices and fees are clearly declared. Not acting in transparently forces your customers to contact you to get information or, in the end, to ask for a refund. It affects brands perception, and decrease loyalty. Is this what you want? Ultimately, you must remember that the road to DCX hell is full of good intentions. The New Marketing is People Centric: Know Your Customer Personality! Every day, enormous amounts of money around the world are spent on advertising tailored for socio-demographic groups. But demographic analysis is only part of the story about your customers. If you want to get the whole story you must start considering your customers as people, rather than merely seeing them as someone buying the product that you’ve got. To do so, you need to stop relying solely on an objective-based perspective and start getting a more in-depth view of your customers. Qualitative information such as customer personality can show you more clearly what is important to them and how they make buying decisions. Moreover, as customer personality relates to their attitudes and behavior, it can be useful for developing your products and services as well as for creating powerful communications. These are some of the personality traits included in the Big Five Model, also known with the acronym OCEAN: Openness to experience; Conscientiousness, Extroversion; Agreeableness; Neuroticism. One of the major arguments against the use of the Big Five Model - and personality traits in general - in marketing is the difficulty of obtaining such kind of information about customers. However, the expanding of digital and social platforms makes available terabytes of data about users, including subjective qualitative data. This gives marketers the unprecedented opportunity to understand customer personality and deliver AI-driven personalized contents on a large scale. This is more than moving from a partial view of customers to a more comprehensive one; it is shifting from a merely commercial approach, what we know as "customer-centricity", to a more intimate and long-term relationship, what we will call "people-centricity". 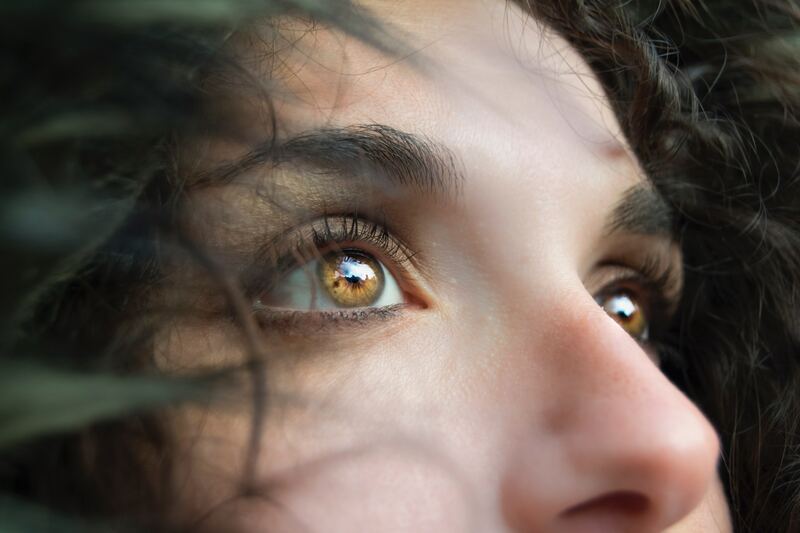 To enter this new era, start thinking about it: how will you enhance your marketing when you also get the human side of customers? (1) Bosnjak, M., Bochmann, V., & Hufschmidt, T. (2007). Dimensions of brand personality attributions: a person-centric aproach in the German cultural context. Social Behavior and Personality: an international journal, 35(3), 303-316. (2) Casidy, R. (2012). An empirical investigation of the relationship between personality traits, prestige sensitivity, and fashion consciousness of Generation Y in Australia. Australasian Marketing Journal (AMJ), 20(4), 242-249. (3) Donnelly, G., Iyer, R., & Howell, R. T. (2012). The Big Five personality traits, material values, and financial well-being of self-described money managers. Journal of Economic Psychology, 33(6), 1129-1142. (4) Guido, G. (2005). Shopping motives and the hedonic/utilitarian shopping value: a preliminary study. ACR European Advances. (5) Matzler, K., Bidmon, S., & Grabner-Kräuter, S. (2006). Individual determinants of brand affect: the role of the personality traits of extraversion and openness to experience. Journal of Product & Brand Management, 15(7), 427-434. (6) Matzler, K., Faullant, R., Renzl, B., & Leiter, V. (2005). The relationship between personality traits (extraversion and neuroticism), emotions and customer self-satisfaction. Innovative Marketing, 1(2), 32-39. (7) Mooradian, T. A., & Olver, J. M. (1997). “I can't get no satisfaction:” The impact of personality and emotion on postpurchase processes. Psychology & Marketing, 14(4), 379-393. (8) Myers, S. D., Sen, S., & Alexandrov, A. (2010). The moderating effect of personality traits on attitudes toward advertisements: a contingency framework. Management & Marketing, 5(3), 3. (9) Myszkowski, N., & Storme, M. (2012). How personality traits predict design-driven consumer choices. Europe’s Journal of Psychology, 8(4), 641-650. (10) Nevid, J. S., & Pastva, A. (2014). “I'm a Mac” versus “I'm a PC”: Personality Differences between Mac and PC Users in a College Sample. Psychology & Marketing, 31(1), 31-37. (11) Ranjbarian, B., Forghani, M. H., & Ghafari, M. (2013). Personality traits and the use of word of mouth communication as a source of travel information among inbound tourists who visited Isfahan. International Journal of Academic Research in Economics and Management Sciences, 2(3), 20. (12) Sandy, C. J., Gosling, S. D., & Durant, J. (2013). Predicting consumer behavior and media preferences: The comparative validity of personality traits and demographic variables. Psychology & Marketing, 30(11), 937-949. (13) Wood, S. (2012). Prone to progress: Using personality to identify supporters of innovative social entrepreneurship. Journal of Public Policy & Marketing, 31(1), 129-141. Download The 7 Pillars Of The New Customer Loyalty to define the foundations on which to build your engagement and loyalty strategy, create innovative experiences and establish a lasting and valuable relationship with your customers.